Check out Tobi's Side To Side Lace Up Crop Top The Side To Side Black Crop Top designed by Tobi features a crew neckline with a cropped fit, lace up sleeve detail, and back zipper closure on a soft and stretchy rayon knit! 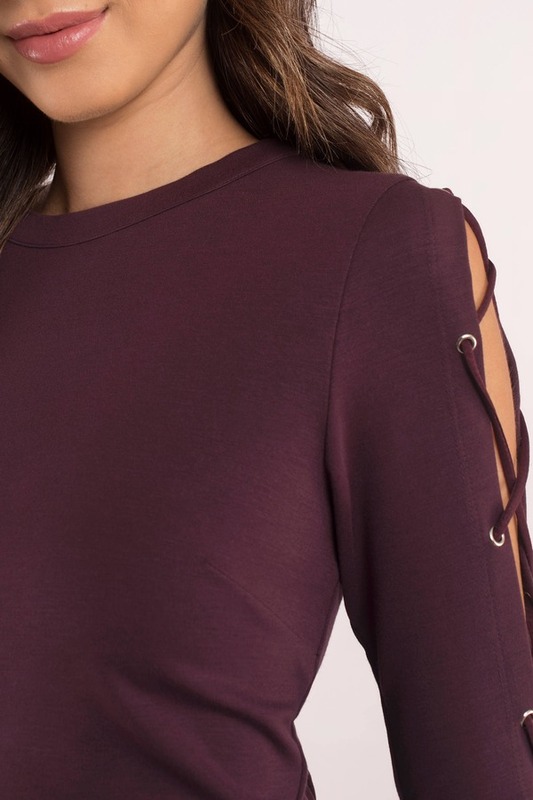 The Side To Side Wine Crop Top designed by Tobi features a crew neckline with a cropped fit, lace up sleeve detail, and back zipper closure on a soft and stretchy rayon knit! The Side To Side Black Crop Top designed by Tobi features a crew neckline with a cropped fit, lace up sleeve detail, and back zipper closure on a soft and stretchy rayon knit! The Side To Side White Crop Top designed by Tobi features a crew neckline with a cropped fit, lace up sleeve detail, and back zipper closure on a soft and stretchy rayon knit!